The Lady Flucos had a successful meet at Waynesboro on March 18. Singles winners were senior Adora Gamage, junior Sarah White, freshman Anja Baja, senior Lydiah Napier, sophomore Nika Ackenbom, and senior Saige Patchett. In the doubles, Gamage and White, Baja and Ackenbom, and Napier and Molli White all won their matches. Gamage said she felt good about her singles match. “Even though I found myself losing focus in the middle, I was able to refocus to beat my opponent,” she said. Patchett also struggled to stay focused during her match. 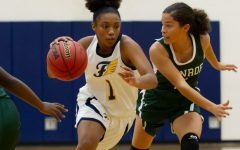 “I let the other girl get to me and I wasn’t playing my best game until Coach [Feda Morton] pulled me aside and told me to play my game,” she said. Once she refocused, she was able to play at her own pace and win the match. The boys’ team did not fair so well in their home meet against Waynesboro on March 18. They gave it their best efforts, but in the end, lost all their matches. Coach Mitchell Pace said the key to high school tennis is unforced errors. “We need to eliminate our mistakes and be consistent enough to beat our opponents,” he said. The varsity team hosted Spotsylvania on March 18. Although the Flucos played hard, they were beaten 12-22. “We had problems in mental errors and not talking,” said senior Gracie Walton. 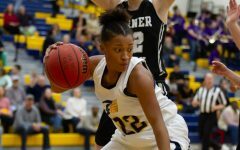 “We did, however, hit the ball much better and got a lot more people in to score.” The girls then traveled to Harrisonburg on March 20, where they won 21-3. Sophomore Liyah Allen said it was an improvement from Monday’s game. “Everyone stuck together and worked and talked as a team,” Allen said about the Harrisonburg game. As for the JV girls, they tied 2-2 in their game against Spotsylvania on March 18. Freshman Shelby Clements said they had to work on scoring sooner and more frequently in their upcoming games. 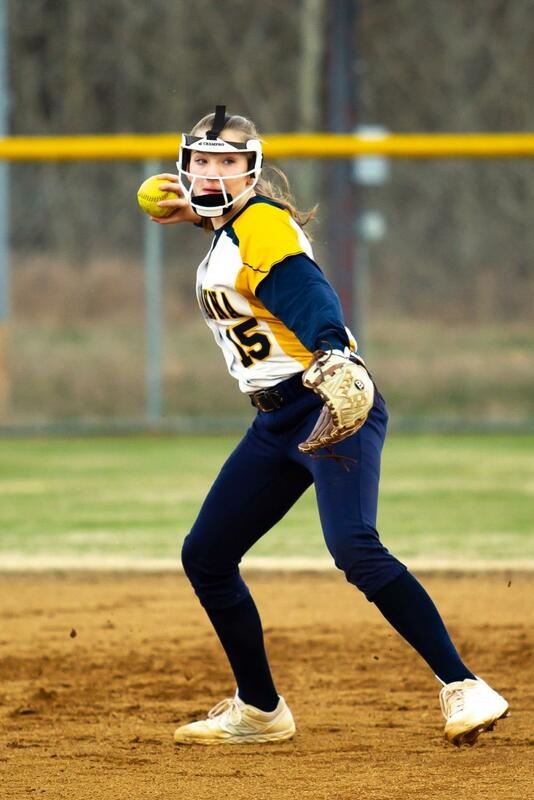 Their next game, at Harrisonburg on March 20, was a huge improvement, as the Lady Flucos beat their opponents 21-0. 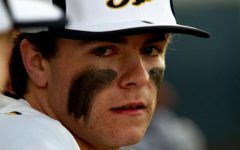 “We continued to communicate, but we have to work on hitting slower pitches,” said Clements. The varsity team lost their home game against Patrick Henry on March 15 by a score of 2-24. 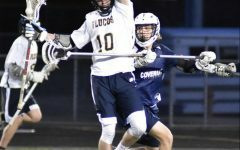 Junior Charlie Lasocki said that the game was a “great learning experience for the team,” especially since the team made a sharp rebound in their home game against Matoaca on March 19, winning that match by a score of 20-1. Junior Alison Sawyer, who scored twice in the game against Matoaca, said “It’s great how our energy changed from getting beaten that badly to winning. I hope that we can keep that energy.” As for Lasocki, she scored seven times in that game. Both the JV and Varsity games against Patrick Henry scheduled for March 22 were postponed until April 10. Meanwhile, both teams looked forward to matches at Liberty on March 26, and scrimmages at Orange on March 27. The varsity team looked ahead to a match against on March 25, while both varsity and JV planned a home scrimmage against Orange on March 27. The varsity team traveled to Waynesboro on March 18, beating them by a score of 4-3. Meanwhile, the JV team also won their game at Waynesboro, walking away with a win of 3-0. Sophomore Abigail Fuller said the team “played well and did good connecting passes.” She also said “I played okay. I made a few mistakes that I’ll improve next game.” Both teams looked forward to games against Monticello on March 25, and home games against Orange on March 28. 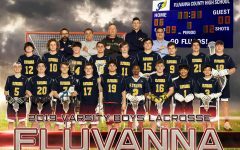 On March 18, the varsity team had a bit of a nail-biter in their home game against Waynesboro. Ultimately, the Flucos won the game with two minutes left in overtime, beating Waynesboro 1-0. Junior Ethan Hartung said the team “Played pretty good, but still have room for improvement.” Up next for the varsity and team were home games against Monticello on March 25, followed by away games against Orange on March 28.